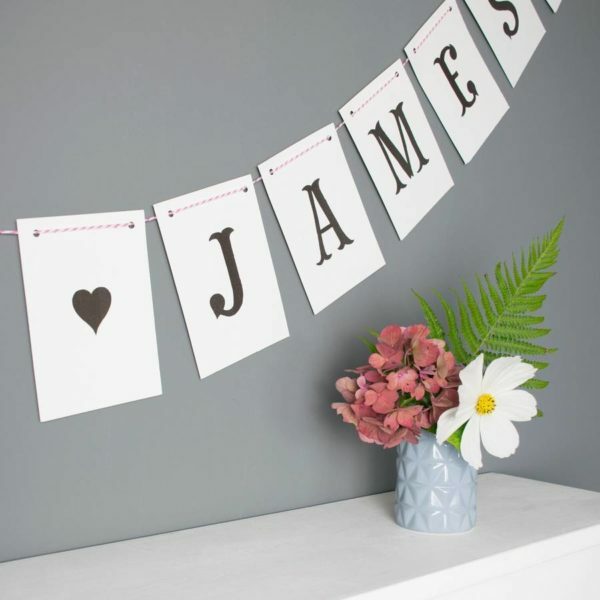 Personalised Wedding Bunting – add a personal touch to your big day by adding your names or your phrase to this beautiful personalised bunting. 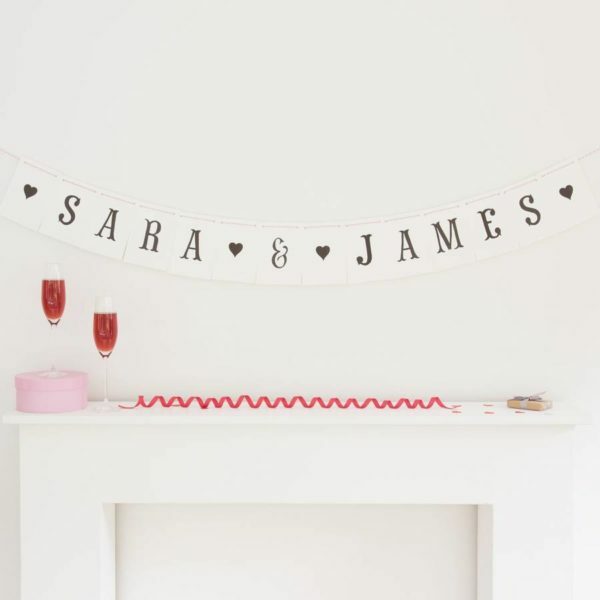 Personalised Wedding Bunting Fishtail Font – This gorgeous bunting is an effortless yet stunning way to decorate your wedding venue. 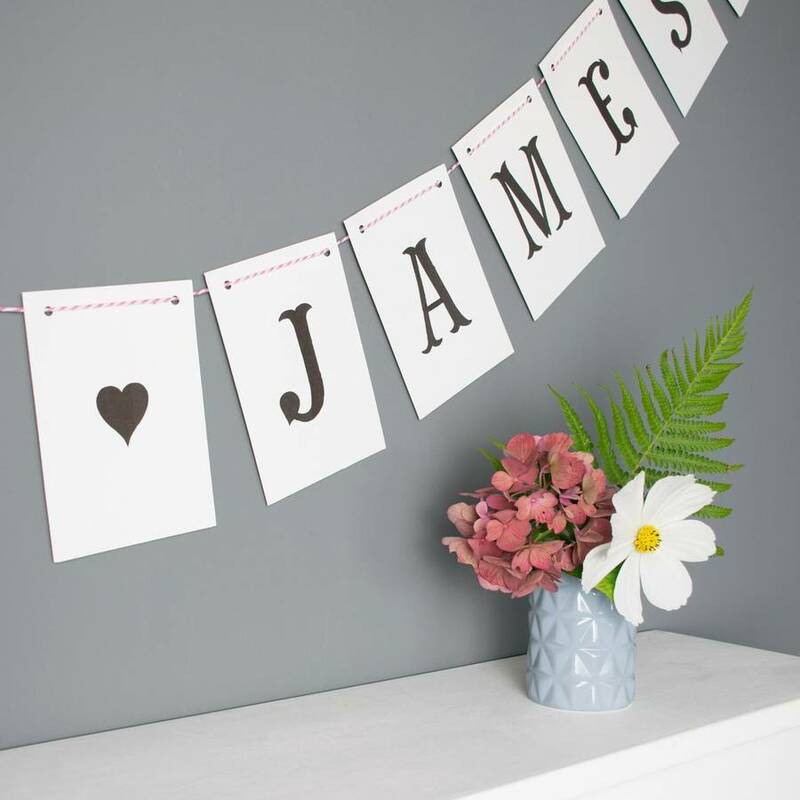 Our carefully crafted uppercase alphabet has been hand-drawn before printing each letter onto high quality 300gsm Callisto pearl card. Names are a popular choice for this personalised bunting, but you can also choose words or a phrase that holds special meaning to your relationship. 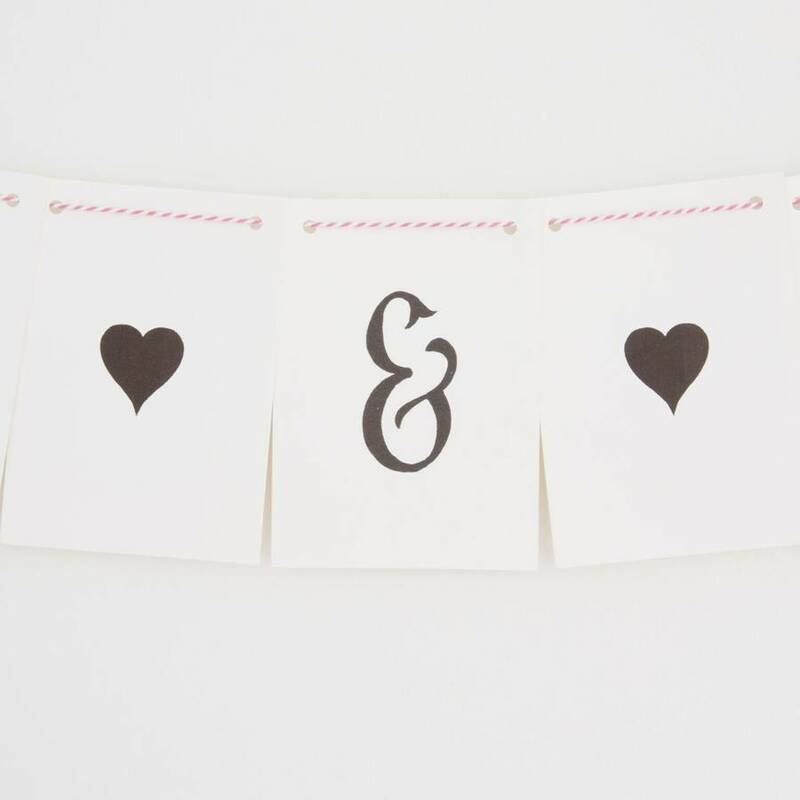 Whatever you choose, the black colour of the font will really stand out on the creamy white card.